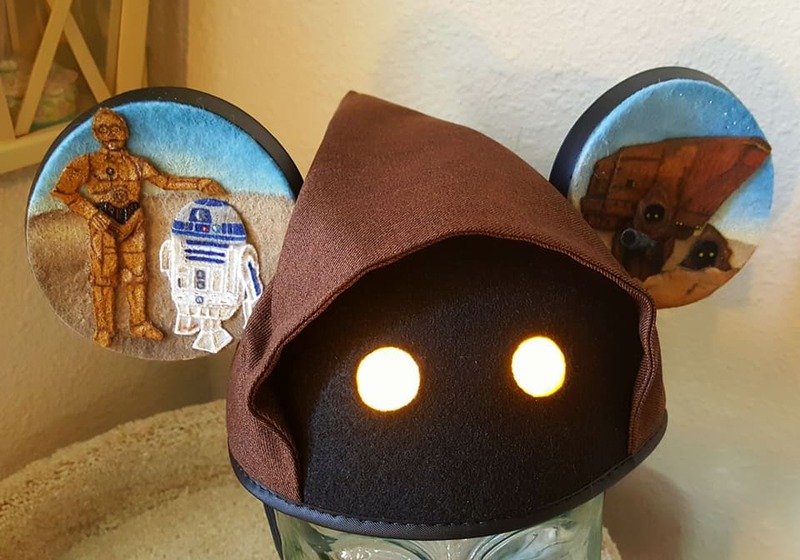 EPBOT: Jen's Gems: Doll-Making Videos, Sarah's Ballgown From Labyrinth, & Jawa Mickey Ears! 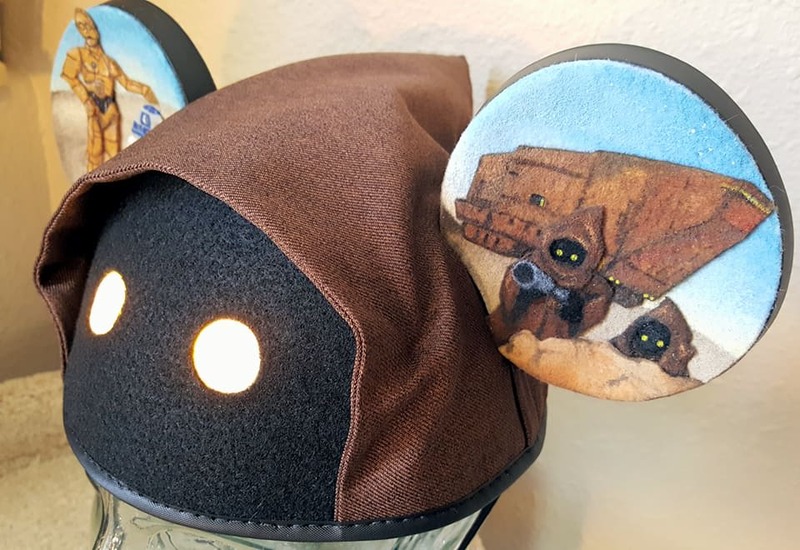 Jen's Gems: Doll-Making Videos, Sarah's Ballgown From Labyrinth, & Jawa Mickey Ears! Her face! Hee! I also love the garden gnome one. Go see the rest here. You can turn the sound off; it's just music. Anyone else go wide-eyed over the chalk-mixed-with-gelatin? (Say WHA?) And the way they make the hands is so. cool. The eyes even light up! Hit that link up there to follow her on Facebook, she has so many goodies. Just sit on the offending party. Happy Sunday! Hope you guys are having a great weekend! OMGosh! Thank you for the link to the costume study! 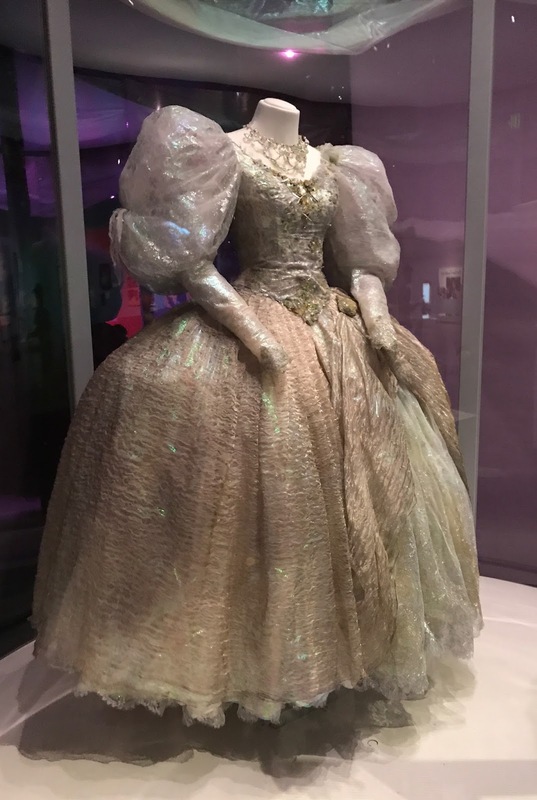 I'm fascinated by film and stage costumes, and learning more about this one was so cool. The doll video was fascinating. I've seen dolls like that before but didn't know much about them, and now I want to learn more. That dress spawned a thousand daydreams. I was a teenager when Labyrinth came out and I dreamed of getting married in a dress like that with the giant hair and ribbons, etc. It didn't happen that way...not one single time out of the three. Maybe #4 although I'll look more like "Old Rose" in Titanic by the time THAT happens. I am absolutely distracted by that gif. Thanks for the doll making video! My hubby is 1/2 Japanese and we have been gifted two Hakata dolls by his Japanese relatives. One is a boy and one is a girl. Now I'm gonna have to see if I can find a like-minded video on how the Hakata dolls are made. 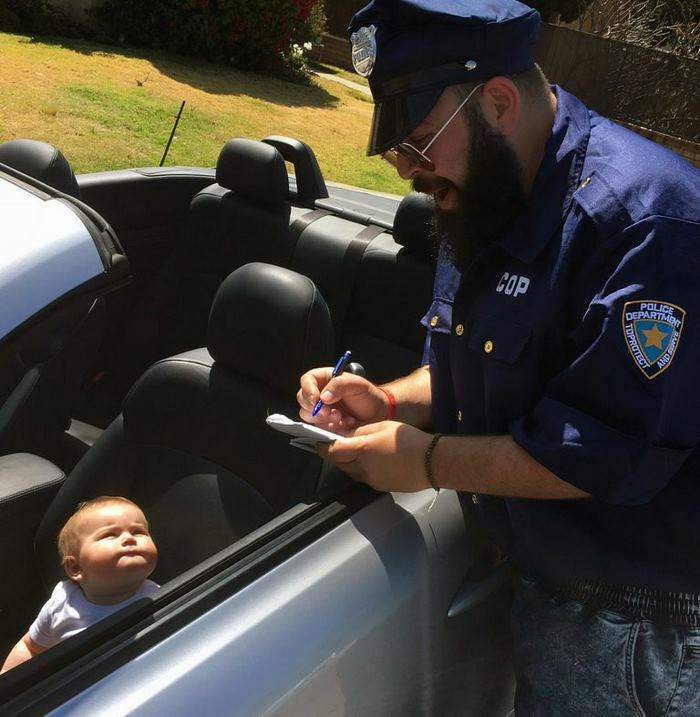 Love the dad and baby pics. They made me smile! So, what/who is the lion sitting on? All I can see is some black fur, I think. Enquiring minds wanna know! Edited to add: Never mind! It didn't show up as a GIF on my computer -- just as a still photo. When I refreshed it became the GIF. Cute otter! It's Japan season on BBC4 at the moment; we watched two programmes last night in the making of Samurai swords and then of traditional silk kimonos. So beautiful, definitely recommend if you're able to get the shows. The lion and otter are hilarious! Needed that today. I can see you and John making Jawa ears. Have a happy 4th! Hopefully, it will be quiet for the kitties. Wow, thanks for posting that video for the making of the Hina dolls. I have some and never could find out this info. Pleased to learn something new. I have fallen down the rabbit hole of the Japanese videos explaining how things are made. And I'm delighted!